Time to update the resume? Here's some help. Your resume is the first thing a potential employer will see from you. 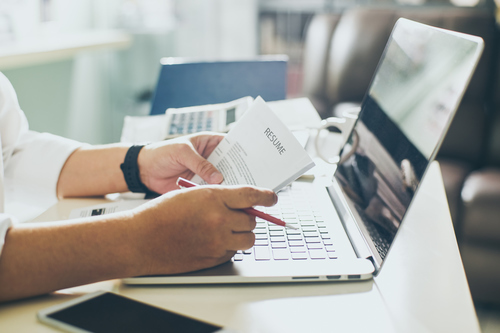 Make sure you take time planning and thinking about your resume, which is not just an overview of your technical skills but should also demonstrate your written, communication and organisational skills. Your resume can make you stand out from the crowd and persuade the employer to move your application onto the next stage. Remember, there may be many people applying for the same job. So why should an employer shortlist you above others? Firstly, the job of going through resume's is difficult, so think about making the selection process easier for the person on the other side! Before you even update your resume. Start with a cover letter! Cater it to the company and the position. Make sure your resume is easy to read, concise and to the point. Stick to short sentences and keywords. Use white space in your resume. It’s easier to digest and looks better than a cluttered resume! Use a font that is easily legible – take extra pages if needed to explain your relevant experience. Secondly, once they're looking and intrigued about how beautifully you've set up your resume, make sure the information is relevant. Address each selection criteria listed in the job advertisement and make sure these are also listed in the body of your resume. List your outcomes and achievements – not just your daily activity. Always quantify your past achievements and experiences. Focus on what you can do for the employer, include specific examples. Make sure spelling, dates of employment and tenses are correct. Read and re-read: spell check won't pick up on all errors, punctuation or misused words. Make sure things are specific and keeping to the point. Does all the information sell you and your skills? Lastly, you should have three recent referees available to provide references for you. Your referees should be people who can provide detailed responses on how well you performed your tasks and responsibilities, they should be someone you actually reported to and of course, make sure they know you are using them! Keep in contact with your referees, especially when you are actively seeking a new role as it is likely that someone will call them and ask about you.